Protests that started in the southern Iraqi city of Basra have since expanded into at least five governorates, igniting a political crisis in a country still healing after years of war. Given the recent Iraqi parliamentary elections, where the unexpected election of Shiite Cleric Muqtada Alsadr signaled a changed status quo, government officials did not predict such a quick onset of demonstrations. Still, these protests were preceded by signs of public disdain in Iraq, evidenced by civil society group holding rallies in 2015 and 2016, pressuring the government for reforms that target corruption, deliverance of services and job creation. The widespread nature of this most recent movement is surprising, taking place only one year after Iraq declared victory over ISIS militants in one of the deadliest and most destructive conflicts in Iraq’s recent history. If anything, Iraq’s victory over ISIS was expected to improve Iraq’s public mood, as it was followed by an increased nationalistic sentiment, countering the sectarian divisions that had dominated Iraqi society for almost a decade prior. That Sadr, (a vocal voice against political corruption and a major advocate for Iraqi sovereignty in lieu of Iranian and American influence,) was elected only further signaled that change had come for Iraq, making the recent angst all the more surprising. 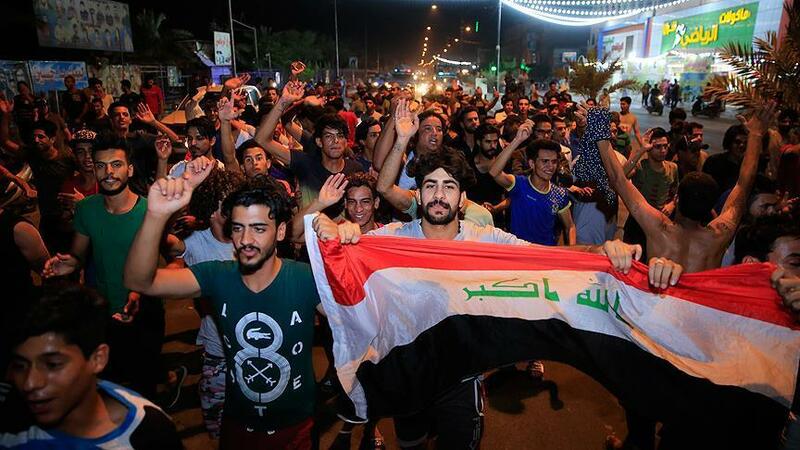 The initial protests in the oil-rich Basra governorate started when participants took to the streets after the city’s oppressive summer heat had exaggerated the frustrations over an already acute electricity crisis. Initiating the power shortage was Iran, which had cut electricity transmission to Iraq due to unpaid Baghdadi debts. Iran’s reversal resulted in a collapse of Iraq’s electric-grid and a total failure to meet the needs of the southern provinces, of which roughly %30 rely on Iran to meet their electricity needs. 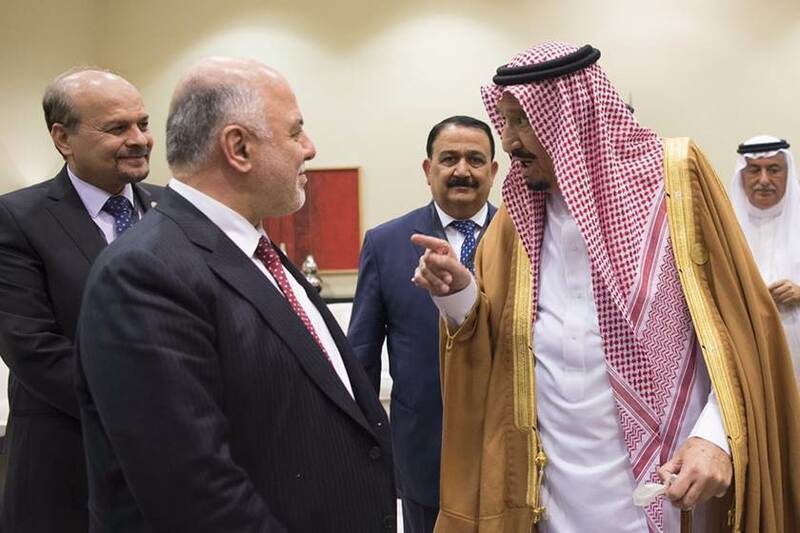 After several failed attempts by Iraqi PM Abadi to convince the Iranians to resume Iraq’s electric feed, he decided to seek help from its southern Arab Gulf neighbors, Saudi Arabia and Kuwait. Kuwait immediately agreed to supply Iraq with fuel and generators, while PM Abadi sent a delegation of four ministers to Jeddah, seeking Saudi assistance for Iraq’s electricity and energy sector. The opportunity was well-received by Saudi Arabia who agreed to welcome Iraq’s Minister of Electricity to KSA to sign a Memorandum of Understanding between the two nations. From the perspective of Riyadh, a successful agreement with Baghdad will give the kingdom leverage within Iraq, accomplishing Riyadh’s ultimate goal of distancing Baghdad from Tehran. Outside of international relations, the recent protests are domestically significant for Iraq, erupting in predominantly Shiite governorates, where Shiite protestors attacked and burned centers of Iranian-backed Shiite militias. The nationalistic sentiments that brought Alsadr and his communist party alliance to power have resulted in a more forceful rejection of the influence of corrupt religious political parties and their Iranian-backed militant wings. The threat from protestors later compelled militia members to fight their instigators in the streets of Basra and Baghdad. Adding to the shock, protestors targeted oil fields, the most powerful symbol of Iraq’s potential wealth, demanding employment while protesting the government’s use of expatriates, (amidst a nationwide 15% unemployment rate), to manage its oil industry. In today’s Iraq, the political reality of the country has changed dramatically. The 2012 protests led by Iraq’s marginalized and impoverished Sunnis have now been mirrored in Shiite majority areas run by middle-class Iraqis demanding basic services and better living conditions. The protestors made clear that using the battle against ISIS to justify a lack of basic amenities and cover corrupt politicians is no longer a valid explanation. Even in using the “ISIS Argument”, the government’s naivete is evidenced given that when looking at a map of protests, the areas that are witnessing the main demonstrations are those that had been least affected by ISIS. Meanwhile, protestors seem determined to achieve their demands as their movement expands and becomes more organized and goal-oriented. Their presented list of demands mainly aims to lessen government spending on officials’ salaries and pensions, in addition to banning government contracts with government official-owned companies. Amidst these demands, the government’s calls for a truce seem to have fallen on deaf ears. Even Abadi’s efforts at tribal mediation have failed, as the tribes seem to be backing the demonstrators. The same goes for Iraq’s top religious cleric, Ayatollah Sistani. That this civil unrest is occurring as the Iraqi parliament resigns, and a new government is formed, opens Iraq up to potentially dangerous scenarios, ensuring that al-Sadr’s challenging new job will be fraught with complexities from day one.